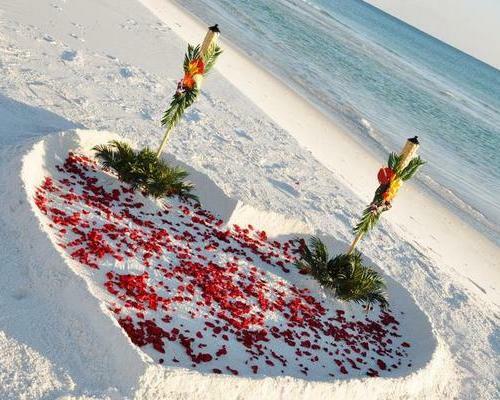 This package includes a Fresh Rose Petal filled Sand Heart plus 2 Tiki torches decorated with floral arrangements in: White, Purple or Tropical. Your 2 Tiki’s are surrounded by an oasis of greenery within the Rose Petal Heart. Only the “Bride & Groom” stand within this beautiful Heart. This beach wedding package is perfect for destination weddings, last minute elopement ceremonies and Vow Renewal Celebrations.